There have already been two polls on opinion about the monarchy over the last week and I’m sure there’ll be more in the coming days. The Guardian last Thursday found a ‘surge in royalism’ despite doubts about whether Charles should take the throne. Another in today’s Independent apparently found similar lack of excitement about Charles. 1) As the Guardian poll suggests, British opinion remains firmly committed to keeping a monarchy. Perhaps it’s become even stronger since the royal wedding and the jubilee, but the idea of a republic has never appealed in recent decades. 2) Yet, this is perhaps more about hostility to the idea of Britain becoming a republic, rather than love for the monarchy. Over the late ’80s and early ’90s there was a significant shift from people thinking Britain would be worse if it lost the monarchy to people thinking it would make no difference. 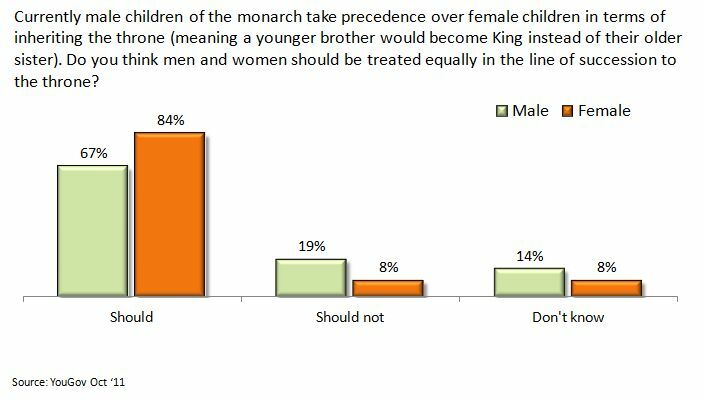 The last polling I’ve seen on this is 10 years old, so perhaps things have changed, but it does suggest that people no longer buy the argument that the monarchy brings benefits to the UK. 3) As both recent polls suggest, there is indeed currently a problem with the succession. Of course this could well change when – if – it comes up and ceremonialism takes over, but at the moment there are very clear doubts about what should happen next. In the 60 years since Elizabeth II came to the throne, Britain has become vastly less religious and less deferential. You might expect such trends to have undermined support for the continuation of an institution whose authority comes from God and superior birth – yet support for the monarchy is overwhelming. 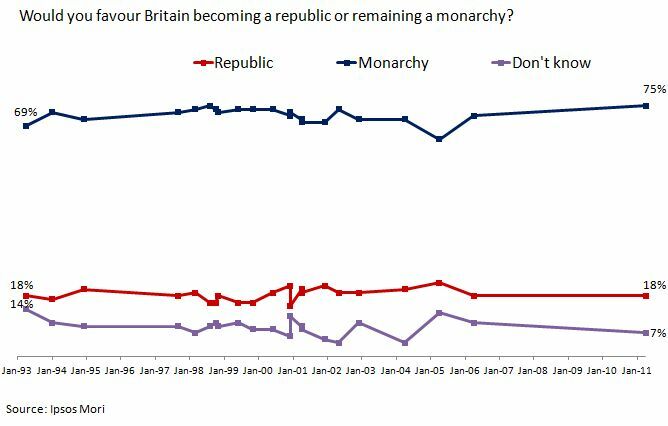 But while there is little appetite for Britain to become a republic, attitudes to the monarchy have changed in recent years. 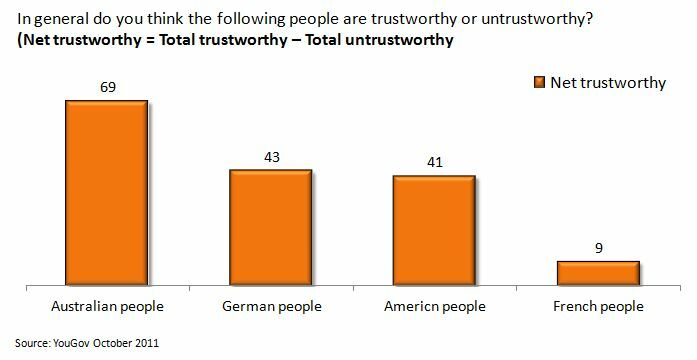 Far fewer people now think it brings any overall benefit to Britain, and there continue to be doubts about whether Prince Charles should inherit. 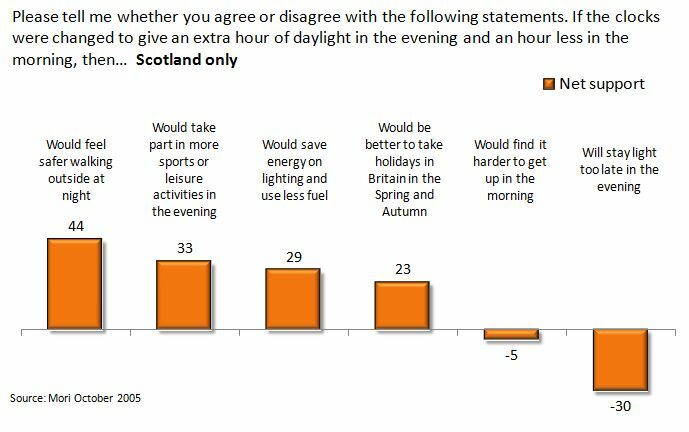 A question from YouGov adds an interesting point of comparison. In July 2003, 41% said they would support keeping the monarchy in its current state, 41% said they would only support keeping it if it modernised, and 16% opposed keeping it altogether. At that point, MORI’s data suggest that given a straight choice between keeping or abolishing the monarchy, only about 20% would abolish it. So of the 41% who told YouGov they would keep the monarchy only if it reformed, nearly all would, if pushed, prefer to keep it than scrap it. But this solid opposition to republicanism doesn’t equate with full-throated support for the monarchy. Another tracking question from Ipsos MORI suggests that, since the early ‘80s, there has been a significant fall in the numbers who think that the monarchy brings an overall benefit to Britain. 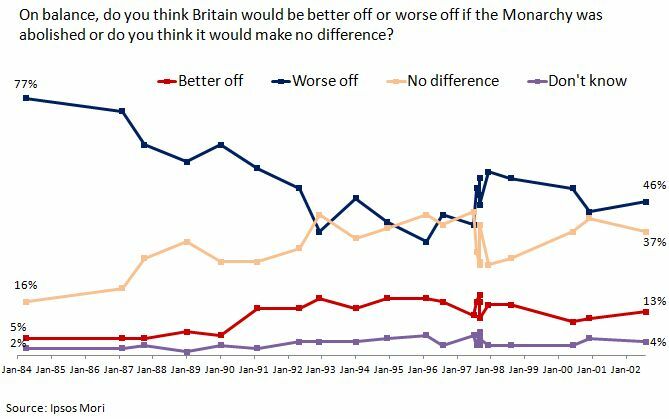 In 1984, 77% thought that Britain would be worse off if the monarchy was abolished. Now, that figure is just 46%. 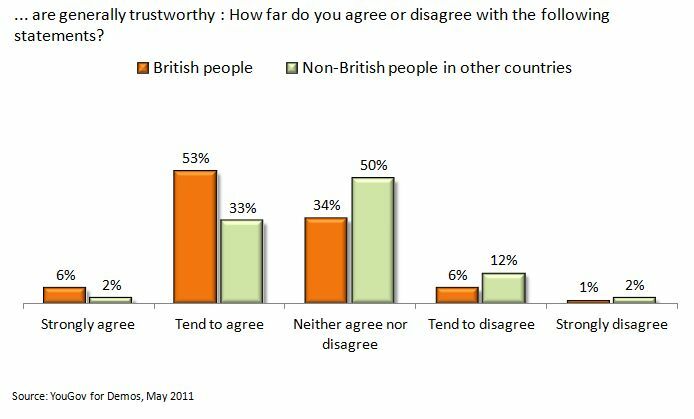 In keeping with the continued lack of support for a republic, there has been little change in the proportion that thinks Britain would be better off without royals. Instead, the growth has come in the numbers who say it would make no difference. Recent polls aren’t encouraging for those hoping for Scottish independence. Only around a third say they would vote to break away, while over half say they would vote against. But older polls suggest opponents of independence shouldn’t be complacent. There has been a great deal of volatility in opinion, which could spell trouble if the campaign goes against them. But while these numbers look very reassuring for those opposing divorce, older polls suggest a much less settled view. 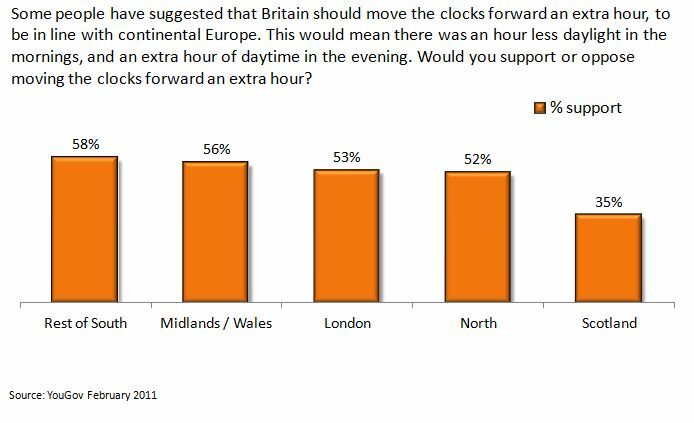 UK Polling Report have gathered the results from 34 polls, conducted between 1999 and 2009, with questions on Scotland’s independence. Inevitably the question wording varies widely, so it’s difficult to use the full set to show how opinion has changed.